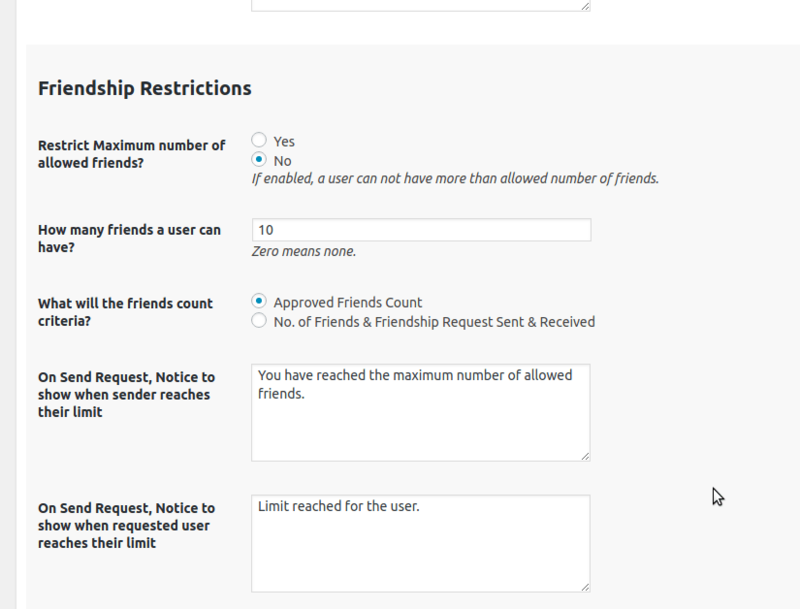 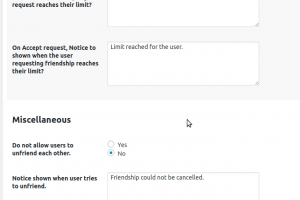 BuddyPress Friendship Restrictions plugin allows you to restrict BuddyPress Friendship features. 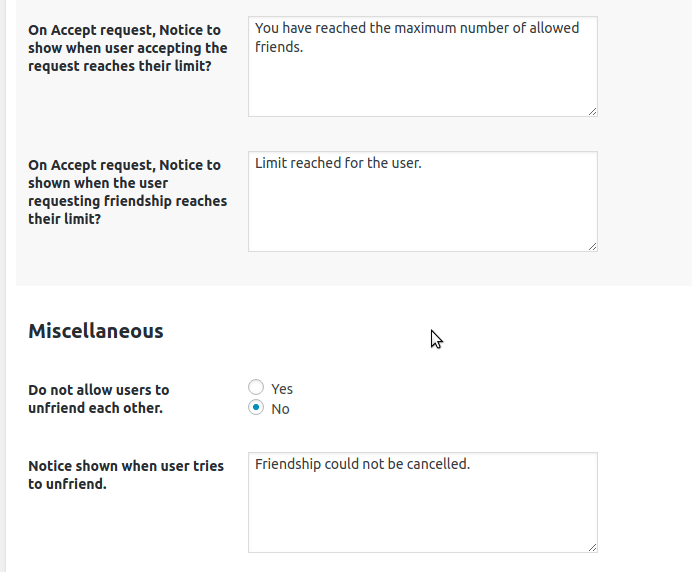 You can limit who can add friend , who can be added as friend, how many requests are allowed and how many friends are allowed on your BuddyPress site. 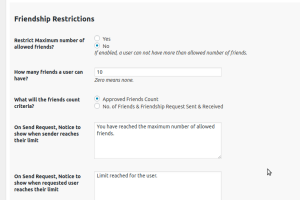 It gives absolute control to the site admins to control how the friends feature work. 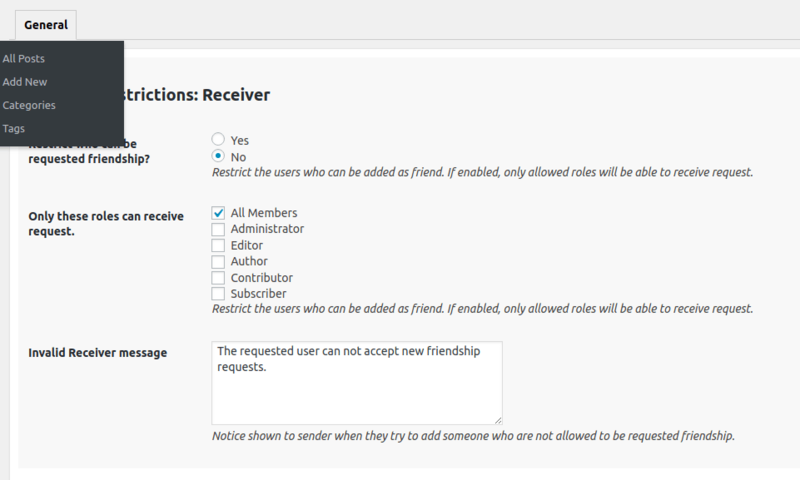 Restrict users who can be added as friend based on roles. 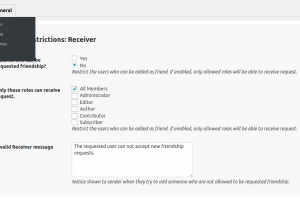 Also, In future the plugin will allow setting limits for individual roles. 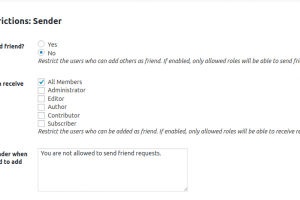 For installation and extending the plugin, please see the documentation. 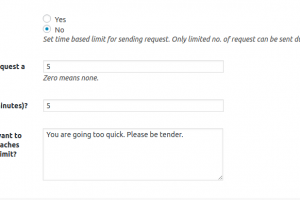 Our sincere thanks to FRED-DIM IKENNA(eviL__Lizard) for originally suggesting the plugin .